Many cuisines have a dish that consists of a sweet or savory filling wrapped in a bread shell. Empanadas, for example, are found throughout Portugal, Spain, and much of Latin America, and calzones, though usually larger, serve a similar purpose in Italy. Arguably the most fervently loved version of this portable filled-bread food category, however, is the pasty. 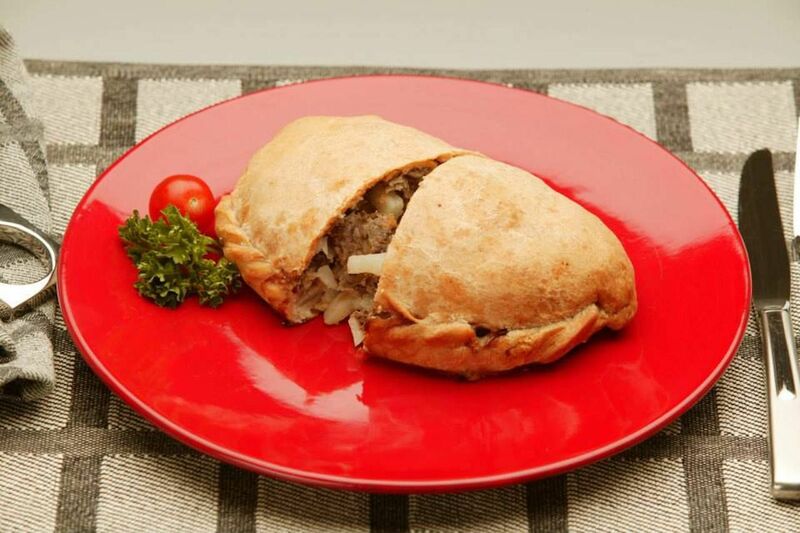 The pasty (rhymes with “nasty”) is a traditional workingman’s meal from Cornwall, England. It’s traditionally made with beef, diced potatoes, onion, and rutabaga, although the proportions and type of meat change depending on who’s making it. 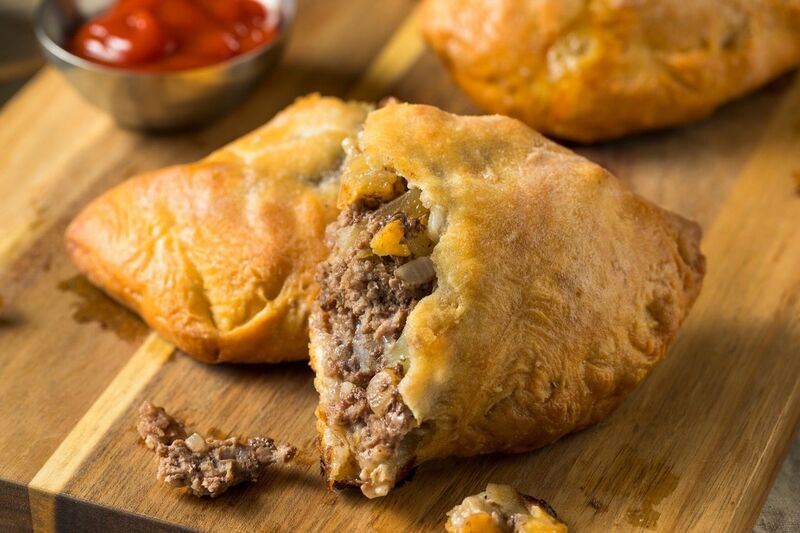 People with a sweet tooth will be glad to hear that pasties can also come 50/50, with half being savory and the other half sweet. While Cornwall is the pasty’s true home, its adopted home — where there are countless pasty storefronts, generations of pasty eating families, and an annual pasty festival — is some 3,500 miles away in Michigan’s Upper Peninsula. This is how the pasty became the signature dish of a little sliver of Michigan. It’s impossible to talk about pasties without talking about mining. Cornwall is known for its tin mines; tin was gathered through prehistoric times and mined straight through the Roman era up to the Industrial Age. For thousands of years, entire towns and villages depended on the hard and dirty job of mining for a living. During that time, miners were sent underground with a pasty as their meal for the day. Pasties contained all the nourishment a miner needed. The miner’s initials would often be carved into the pastry itself so that after the miner ate half for breakfast, he would know which pasty was his for lunch. It wasn’t all about what was inside, though. The shape of the dough, especially that crimped crusty edge, was just as important as the filling. A miner could hold the entire pasty by the crust, eat the middle, and then toss the edges aside. They weren’t being finicky like that one person you know who always had their mom cut the edges off their sandwich; using the crust as a disposable handle kept the miners from contaminating their food with whatever arsenic might be lurking on their hands. Legend has it that the crusts didn’t just go to waste, either. They say small goblins, known as buccas, hang out in the tin mines and cause all kinds of mischief. Traditionally, once a miner finished eating his crust and had thrown it aside, the buccas would come forth to eat it. This was said to keep the goblins happy and avoid any “accidents” from happening to the humans underground. The legends don’t address whether buccas ever got sick from arsenic poisoning, though. Mining in Cornwall slowly started to decline in the mid to late 1800s. Cornish mines couldn’t keep up with the low cost of foreign tin so mining companies closed shop, forcing miners to find work elsewhere. Some Cornish miners and their families left the UK altogether, traveling to Australia, South Africa, and the US. The emigration was prolific enough that people started saying that wherever there’s a mine, you’ll find a Cornishman in it. While the exodus was going on in the 1840s, Michigan and its Upper Peninsula were busy joining the Union. The Upper Peninsula was a known spot for copper; Native Americans harvested copper, and mining was on the mind of the early immigrants to the region. The newly jobless people from Cornwall had the exact skills needed to start up Michigan’s mining communities — and knew just the food to get the miners through the day. 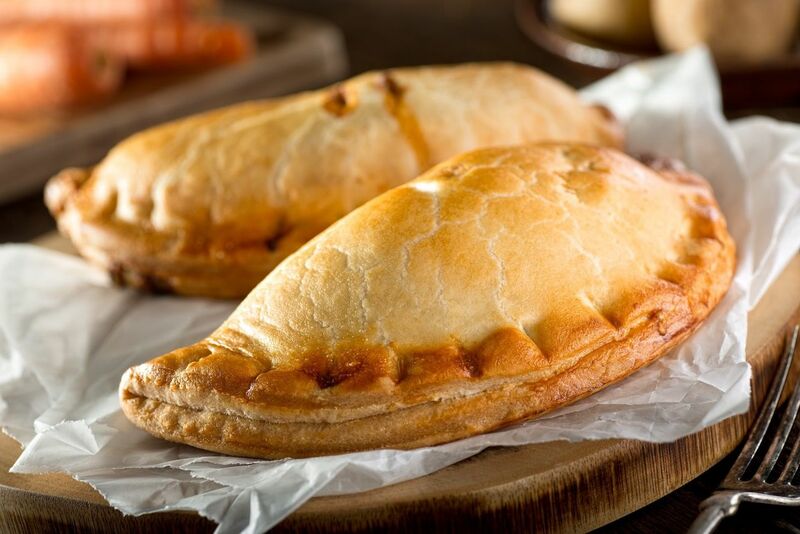 Later waves of immigrants from Italy and Finland picked up the pasty tradition from the Cornish miners as they assimilated into American society. The Finnish especially latched onto the pasty, and (somewhat controversially depending on who you’re talking to) swapped the rutabaga for carrots. Mining in the region declined after World War II, but the pasty stayed — eventually becoming the adopted, unofficial state dish. In 1968, Governor George Romney declared May 24 the first statewide Michigan Pasty Day. It took some innovation to avoid arsenic, economic tumult in the mines, and a 3,500-mile journey, but pasties are completely ingrained in the life of people in Michigan’s Upper Peninsula. Just make sure you pronounce it right when you get a chance to visit. Lawry’s Pasty Shop in Ishpeming and in Marquette: Lawry’s opened in 1946 and it’s kept things traditional ever since. The original in Ishpeming still has regulars that frequent the spot, and both spots are owned by the grandsons of Madelyne and Jim Lawry who opened the shop. Options include mini pasties, and both 12- and 17-ounce beef pasties. Lehto’s Pasties in St. Ignace: Around since 1947, Lehto’s changes up the shape a bit with a log-shaped pasty. It’s been a favorite for decades despite its break from tradition. Lehto’s offers free ketchup or you can pay for gravy on the side. Connie’s Kitchen in Calumet: The place to go if you want to see what all the hubbub is in the battle between Finnish style (carrots) and traditional (rutabaga). Connie’s Kitchen is all Finnish and weighs a full pound. Joe’s Pasty Shop in Ironwood: This is pretty much your last and best chance to get an Upper Peninsula pasty before hitting Wisconsin (or your first, if you’re coming from the Badger State). Joe’s opened in 1946 and sells both Cornish- and Finnish-style pasties. The Pasty Oven in Quinnesec: If meat and root veggies don’t cut it for you, feel free to break from tradition at The Pasty Oven, where you can order a pepperoni pizza or breakfast pasty in addition to the classic recipe.